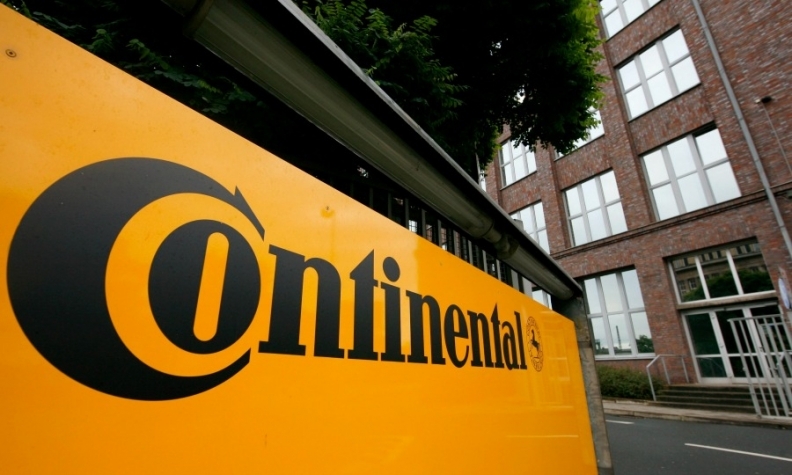 BERLIN -- Continental has reinforced expectations for higher sales this year as it says it will benefit from further growth in global auto production and returns on investments in self-driving technology. "The start into the new year has confirmed the expectations set for 2017," Continental said on Thursday, citing a goal to raise sales by more than 6 percent to over 43 billion euros ($45.28 billion) despite rising raw material prices. The maker of driver-assistance technology and fuel-injection systems said adjusted operating profit eased 0.6 percent to 4.34 billion euros. Continental expects to keep its 2017 margin on adjusted earnings before interest and tax (EBIT) above 10.5 percent, after 10.8 percent last year. Continental is bolstering its electronics expertise as carmakers including Volkswagen Group and Ford Motor raise spending on battery-powered and driverless cars in response to tougher anti-pollution rules and the emergence of new rivals such as Google. The supplier said it plans to increase the dividend to 4.25 euros per share from 3.75 euros in 2015. The group had already reported core results in January.